WANKULUKUKU – Express were held to a 1-1 draw at home to Maroons FC on Thursday. The Red Eagles who struggled for the better part of the game were only saved by a late Tony Odur penalty after Solomon Walusimbi had put the visitors in front early in the second half. 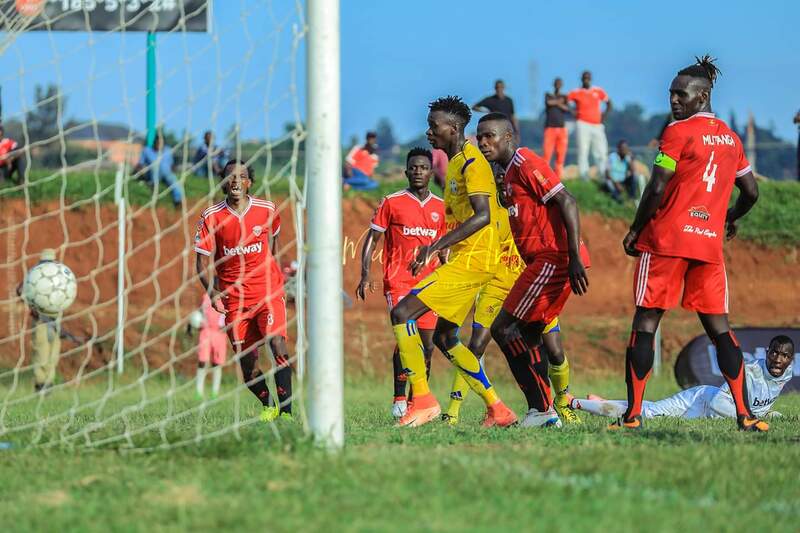 Both sides started strongly with Emmanuel Oringa shooting wide inside the first minute after Express custodian Mathais Muwanga had failed to gather Brian Majwega’s cross from the right. At the other end, Isaac Mutanga headed inches wide a Disan Ggaliwango corner in the home side’s first chance of the game. With 14 minutes played and Maroons looking the better side, right back Eddy Kapampa sent in a first time cross into the host’s penalty area but seasoned goal scorer Herman Wasswa could only head over. With a minute to the half hour mark, Maroons were forced into an early change as Captain Allan Anguyo limped off and was replaced by Maxwell Okello. Express were struggling to create chances and on 34 minutes, Michael Birungi had a shot parried by Maroons goalkeeper Emmauel Akol but Frank Tumwesigye could not pounce as he shot wide on the rebound. The first yellow card of the game was shown to Kapampa for a foul on Ggaliwango on 43 minutes. Two minutes later, Zaga tried his luck from distance but him tame shot was comfortably dealt with by Akol. By halftime, Express were looking out of sorts with Maroons dictating proceedings. Three minutes into the second half, Tony Odur was sent on to replace Allan Kayiwa as Express went in search of more fire-power upfront. However, it was Maroons who found their own fire-power upfront through Solomon Walusimbi as the striker pounced onto Muwanga’s poorly fisted clearance and slot into an empty net, on 53 minutes. The visitors could have doubled their lead moments later but Majwega blasted over from just outside the area. Sensing that they made be headed for another home loss, Express throw Brian Umony on in place of the tired looking Mubaraka Nsubuga. Maroons who had resorted to counter attacks saw another chance go to waste as Felix Okot’s goal-bound shot rebounded off teammate-Pius Obuya and out for a goal-kick. Obuya was in the thick of action again as he volleyed a shot straight at Muwanga moments later. In an attempt to see out the result, Maroons made another change with Orombi replacing Oringa. Express looked to be heading into desperation mode and on 75 minutes, Zaga shot from distance but his effort flew over the bar. The Red Eagles made their last substitution on 78 minutes with Joel Male replacing Ggaliwango. With an all out approach, Express ripped their reward on 84 minutes as Odur converted from the spot after Martin Mpuga had brought down Umony in the area. Despite a few half chances falling in the way of the visitors, Express held on to take a point out of the game. The draw sees Express climb into 9th with 25 points from 20 games while Maroons remain in 13th.